At The Quaker School, we use the latest findings from educational research to guide our curriculum and nurture our students’ inherent curiosity and desire to learn. 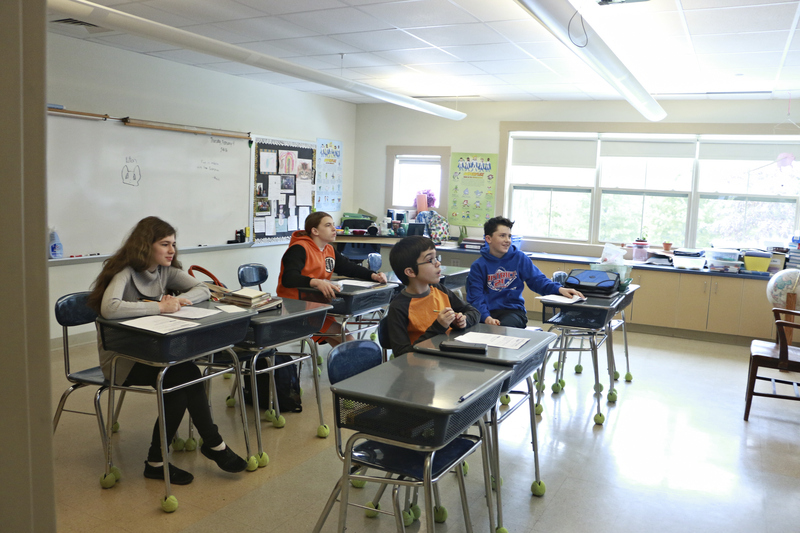 Our expert faculty compassionately delivers each program in our safe school learning environment, working with each child to achieve meaningful personal, social and academic success. This program is used to teach self-regulation by helping students understand the four different zones that our feelings and emotions fit within. It incorporates Social Thinking concepts, and teaches students how to identify and manage their feelings and the feelings of others. This small-group reading program helps students struggling with serious reading challenges. It allows students to learn and advance quickly, and it promotes fluency, comprehension and deep reading. When students who have math learning problems first develop a concrete understanding of a math concept/skill, they are more likely to perform that math skill and understand math concepts at the abstract level. TQS has embedded this methodology in its math instruction. Eureka Math is a curriculum that embodies a “C-R-A” teaching approach, which creates meaningful connections between Concrete, Representational and Abstract levels of thinking and understanding. TouchMath helps our teachers connect with different types of learners to build strong math skills. It’s a multisensory program that is built on the Common Core State Standards and includes technology components and hands-on manipulatives. Part of the Lindamood-Bell Learning Processes, these programs help students imagine and verbalize math, reading and listening processes. Students improve their mathematical reasoning and understanding, reading and listening comprehension, memory, oral vocabulary, critical thinking, and writing. This program supports student growth in writing, vocabulary, language, reading, and speaking and listening. Students learn to produce organized, clear and coherent writing, as well as how to use technology for research and work. TQS students receive direct instruction in Executive Functioning on a daily basis. The program is called SMARTS, which stands for Strategies, Motivation, Awareness, Resilience, Talents and Success. SMARTS helps students understand their strengths and weaknesses, organize complex information, think with flexibility, set goals, use working memory, and self-monitor. Students are more eager to learn and make an effort to use their new strategies at school and at home. They also better understand how they learn, and how others learn. Want to learn more about TQS Academics? Contact us with any questions or to schedule a school visit.